This paper present an effective optimization algorithm for Optimal Power Flow (OPF) problem in electrical power systems. Fractional Order Darwinian Particle Swarm Optimization (FODPSO) algorithm is modified with constraint threshold limitation mechanism to solve OPF problem. Results are tested and compared with Vector PSO (VPSO) and some other optimization algorithms in the literature. FODPSO and VPSO algorithms are applied to obtain optimal settings of control variables in power system. The algorithms are used to tune control parameters of real time 154kV east Anatolian transmission system to reduce power loses and to supply uninterrupted power flow. The results are applied to virtual model of the transmission system, obtained by DigSilent simulation software, to test without taking any risk that may occur in real time systems. Thus, optimal parameter settings are recommended for real time transmission system. Then, the proposed algorithm is applied to IEEE 14 bus-bar test system to show the effectiveness and results are compared with the other algorithms in literature. Ghanghro, S.P., Sahito, A., Memon, S., Jumani, M., Tunio, S. “Network Reconfiguration for Power Loss Reduction in Distribution System” , Sindh University Research Journal-SURJ, Vol.48, 2016. pp.53-56. Ela, E.L., Abou, A.A., ABIDO, M.A., SPEA, S.R. “Optimal power flow using differential evolution algorithm” , Electric Power Systems Research, 2010, 80.7: 878-885. Abaci, K., Yamacli, V., Akdağlı, A. “Optimal power flow with SVC devices by using the artificial bee colony algorithm”, Turkish Journal EE &CS; 2016; 24(1), pp.341-353. Bouchekara, H.R.E.H. “Optimal power flow using black-hole-based optimization approach” , Applied Soft Computing; 2014; 24: 879-888. Zhang, X., Yu, T., Yang, B., Cheng, L. “Accelerating bio-inspired optimizer with transfer reinforcement learning for reactive power optimization”, Knowledge-Based Systems, 2017, 116: 26-38. Nikham, T., Rasoul, N.M., Jabbari, M., Malekpour, A.R. “A modified shuffle frog leaping algorithm for multi-objective optimal powe flow” , Energy, 2011, 36.11: 6420-6432. Abido, M.A. “Optimal design of power-system stabilizers using particle swarm optimization” , IEEE Transactions on Energy conversion, 2002, 17.3: 406-413. Kadir, A.F.A, Mohamed, A., Shareef, H., Wanik, M.Z.C. (2013). “Optimal placement and sizing of distributed generations in distribution systems for minimizing losses and THDv using evolutionary programming” ,TJEE& Comp.Sci., 21, pp. 2269-2282. Lahmiri, S., Boukadoum, M. “An evaluation of particle swarm optimization techniques in segmentation of biomedica limages” , In Proceedings of the Companion Publication of the 2014 Annual Conference on Genetic and Evolutionary Computation pp. 1313-1320. Xie, W., Li, Y. “An automatic fractional coefficient setting method of FODPSO for hyperspectral image segmentation”, In SPIE Sensing Technology+ Applications (pp. 95010D-95010D). International Society for Opticsand Photonics. Ryalat, M.H., Emmens, D., Hulse, M., Bell, D., Al-Rahamneh, Z., Laycock, S., Fisher, M. (2016, September). “Evaluation of particle swarm optimisation for medical image segmentation”, In International Conference on Systems Science pp. 61-72. Kennedy, J., Eberhart, R. A. “new optimizer using particle swarm theory”, In Proceedings of IEEE Sixth International Symposium on Micro Machine Human Science Vol. 34, Issue 2008, pp. 39–43. Tillett, J., Rao, T.M., Sahin, F., Rao, R, Brockport, S. “Darwinian particle swarm optimization”, In B. Prasad (Ed. ), Proceedings of the 2nd Indian International Conference on Artificial Intelligence Pune, India; 2008; pp. 1474–1487. Pires, E.J., Machado, J.A., Cunha, P.B, Mendes, L. “Particle swarm optimization with fractional-order velocity”, Journal on Nonlinear Dynamics; 2010, 61(1–2): 295–301. Couceiro, M.S., Ghamisi, P. “Fractional Order Darwinian PSO: Applications and Evaluation of an Evolutionary Algorithm”, Springer, Londen, 2015. Ostalczyk, P.W. “A note on the Grünwald-Letnikov fractional-order backward-difference”, Physica Scripta; 2009; 136, 014036. Omkar, S.N., Mudigere, D., Naik, G.N. “Vector evaluated particle swarm optimization (VEPSO) for multi-objective design optimization of composite structures”, Computers & structures, 2008, 86.1: 1-14. Nachimuthu, D.S., Basha, R.J. “Reactive Power Loss Optimization for an IEEE 14-Bus Power System Using Various Algorithms”, IU-Journal of Electrical & Electronics Engineering; 2014; 14(1), 1737-1744. ISNAD AKDAĞ, Ozan , OKUMUŞ, Fatih , KOCAMAZ, Adnan Fatih , YEROĞLU, Celaleddin . "Fractional Order Darwinian PSO with Constraint Threshold for Load Flow Optimization of Energy Transmission System". 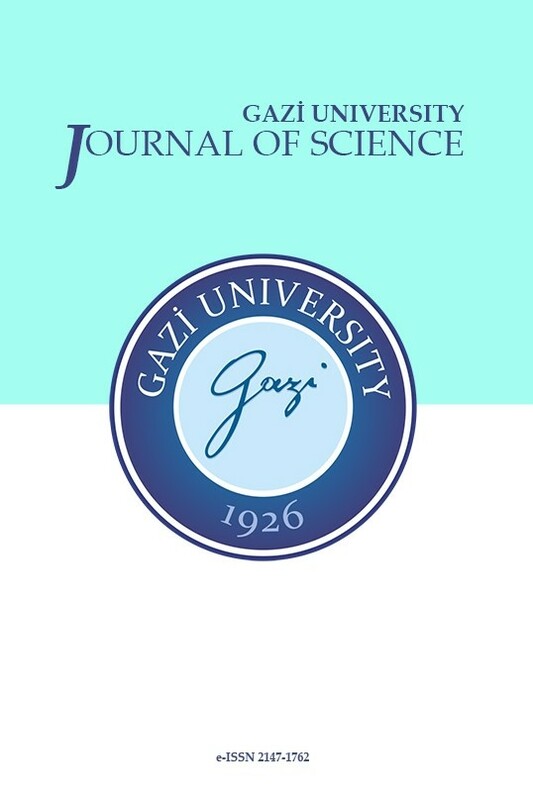 GAZI UNIVERSITY JOURNAL OF SCIENCE 31 / 3 (September 2018): 831-844.